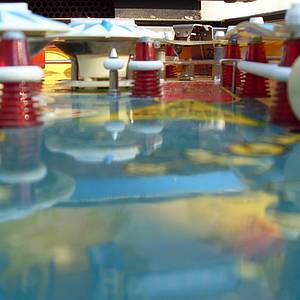 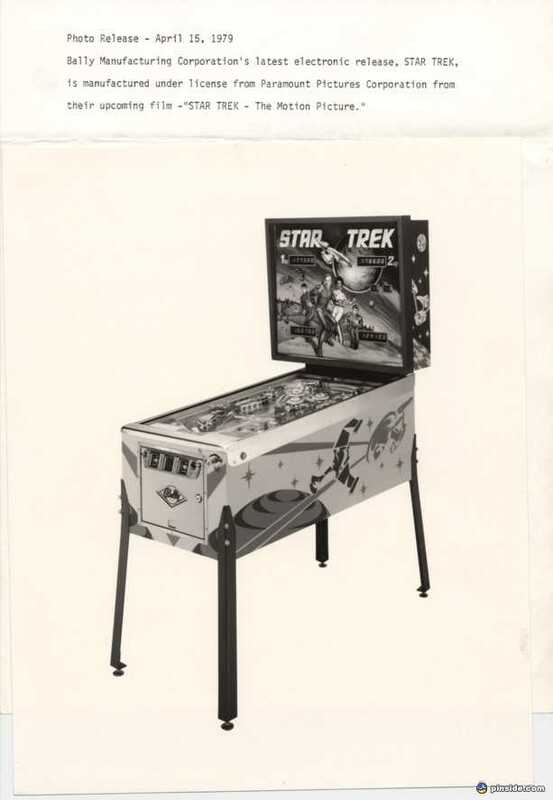 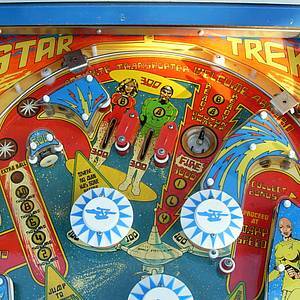 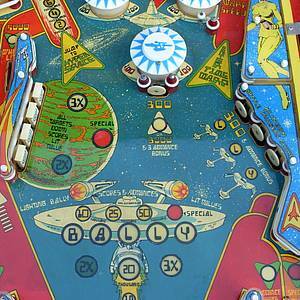 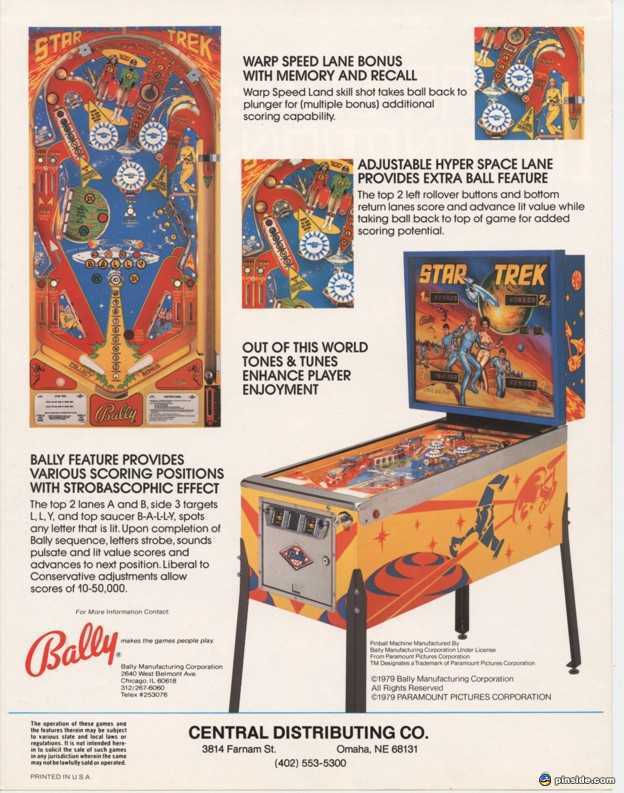 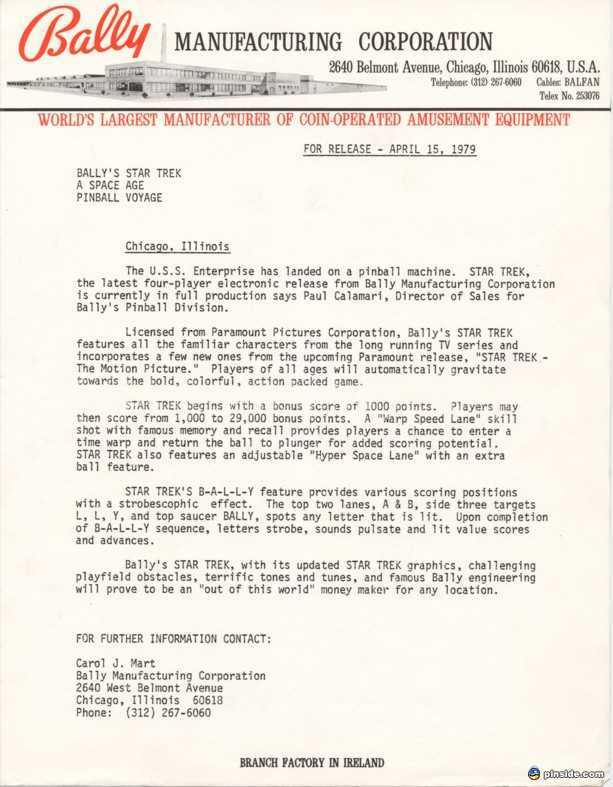 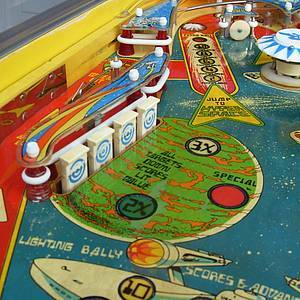 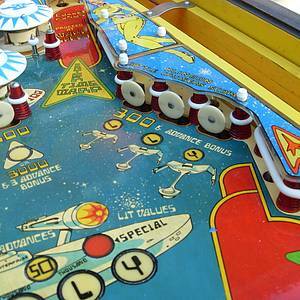 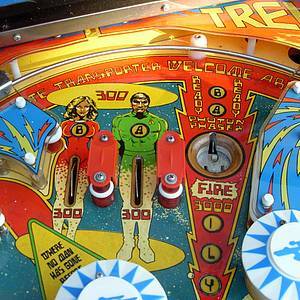 Star Trek is a pinball machine from April 1979, manufactured by Bally Manufacturing Co. 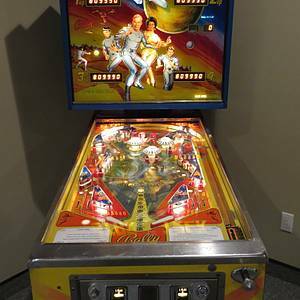 This game has received 53 approved Pinsider ratings and currently has a rating of 6.593 out of 10. 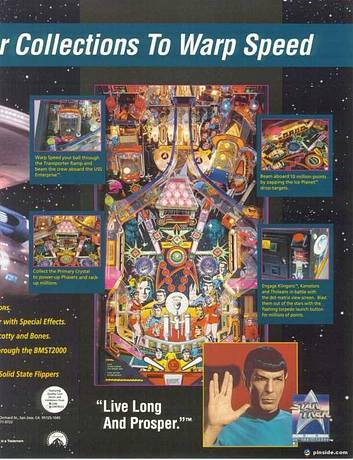 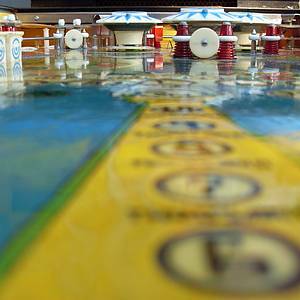 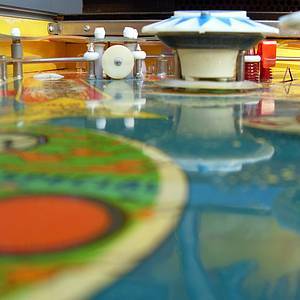 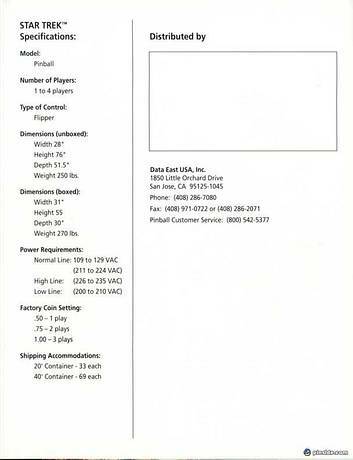 This game ranks #328 in the Pinside Pinball Top 100. 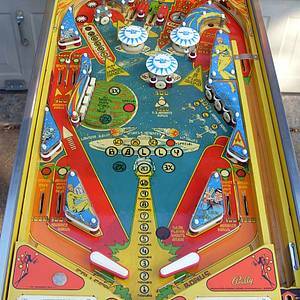 There are 28 rating comments for this game. 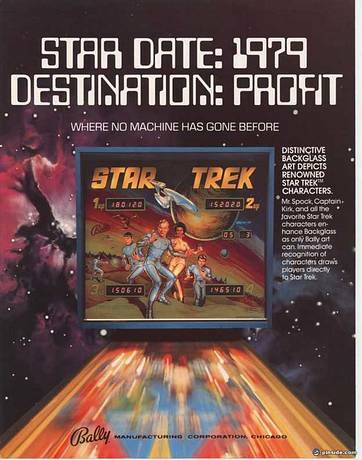 221 Pinsiders have this game in their collections. 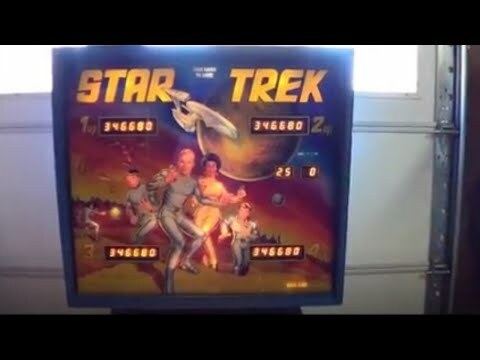 103 Pinsiders have this game on their wishlist. 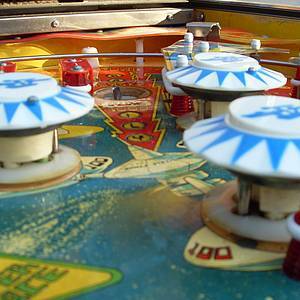 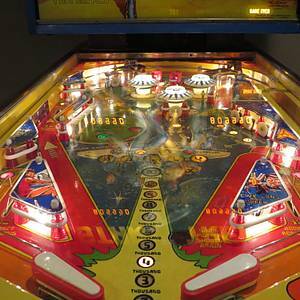 42 public locations known where you can play this machine. 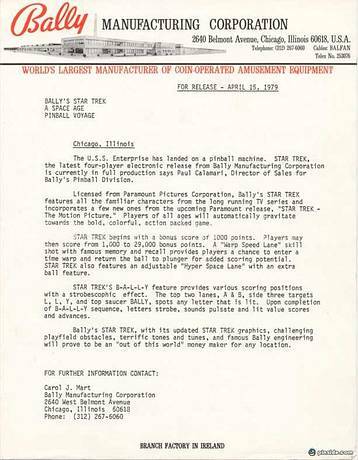 Star Trek Club.... Members Only!